Summer is officially here. The sun is up, and the temperature is rising, luring everyone out of their homes, a welcome change after being cooped up all winter long. The kids will soon be out of school and searching for some fun in the sun to keep the summer boredom at bay. The temperature is also ideal for plant growth, which means that bugs are beginning to make their way back into our lives. 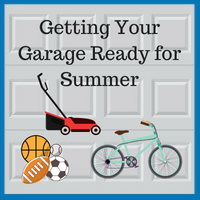 All of these summertime activities often lead to a rise in garage usage. Between the bikes, yard tools, and pesticides, this space can become dangerously crowded if mismanaged. Here are a few solutions to keep using your garage efficiently, even in its busiest months. Bikes and scooters are cumbersome and take up valuable storage space, especially if they are not in constant usage. Consider getting your wheels off of the ground by hanging them on a designated rack mounted on usable wall space or the ceiling. Sports seasons rotate throughout the year, often leaving the off-season equipment laying in the most inopportune location. A well-placed overhead garage loft can serve a multitude of purposes. Rather than hiding unused gear in the attic where it will likely be forgotten altogether, stash it in a storage bin using a loft, keeping it is easily accessible should someone want to brush up on their skills in the off-season. Having a yard enables you to individualize and enhance the value of your home. However, with the land comes a great deal of maintenance and upkeep, which requires easy access to helpful (albeit unsightly and possibly dangerous) yard tools. Keep these potential hazards safely hidden with a vertical storage hutch. With the yards and weeds growing rapidly, you will want to keep your lawnmower handy but out of the way. Giving it a structure to itself is an excellent option if you have the yard space available. Otherwise, most push mowers can be folded to roll into a cabinet under a workbench. These chemicals are essential to surviving the summer with a well-maintained yard. Unfortunately, these are serious hazards for children and pets alike, and they require proper storage. Pesticides should be stored separate from other hazardous materials, as well as fire hazards. A locking cabinet is ideal to keep dangerous substances out of curious hands. A garage is a functional space with a variety of uses. Keep your area useful and safe with optimum storage methods, such as cabinets, hutches, and lofts. 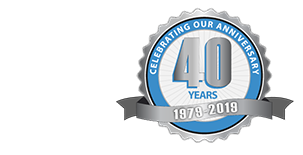 Blue Sky Builders has over 39 years of experience building ideal garages and providing unique storage solutions in Chicago and DuPage County. Contact us today at 630-852-8485 to find out how we can help you get the most use of your space.